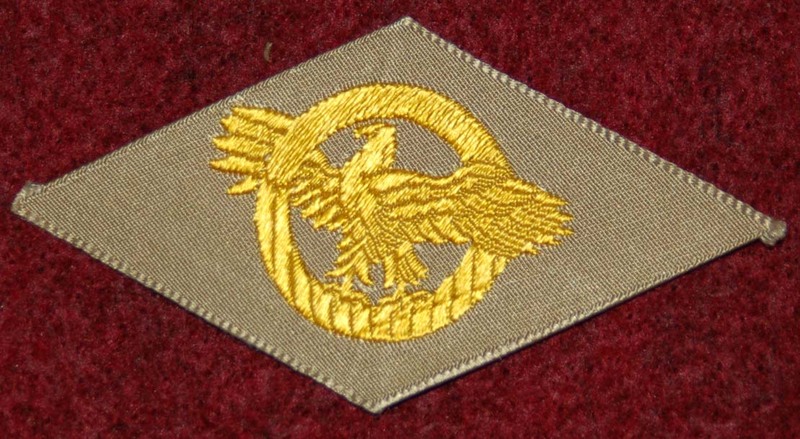 This is an Honorable Service insignia emblem, better known as the Ruptured Duck. It was issued between September 1939 and December 1946 to all veterans who were to be honorably discharged. It was sewn on the right breast of the tunic, allowed its wearer to wear his or her uniform for up to thirty days subsequent to discharge. This indicated to the MPs that the wearer was not AWOL or Absent Without Leave when coming and going in their uniform. The term Ruptured Duck was coined by someone who thought the Eagle within the wreath looked more like a puffed up duck. 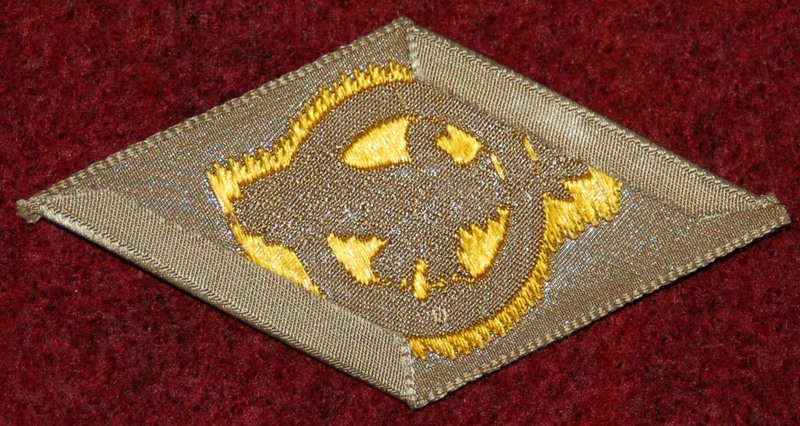 These are excellent little emblems made out of a khaki colored rayon type material with the Eagle embroidered in the center. They came from a box marked 2 October 1945. All are in unissued condition. They measure approximately 4 inches by 8 inches.